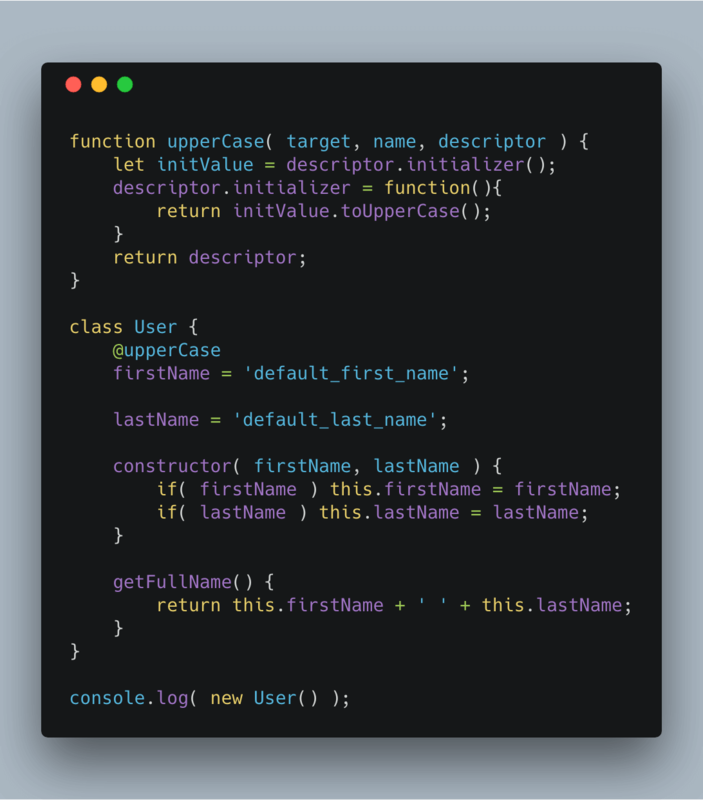 Very insightful piece by Uday Hiwarale on ES Decorators (Class Method Decorators, Class Instance Field Decorators, and Class Decorators). Right now (June 2018), Decorators are in stage 2 and we have Babel plugin to transpile decorators babel-plugin-transform-decorators-legacy. In stage 2, as syntax of the feature is subjected to change, it’s not recommended to use it in production as of now. In any case, decorators are beautiful and very useful to achieve things quicker.